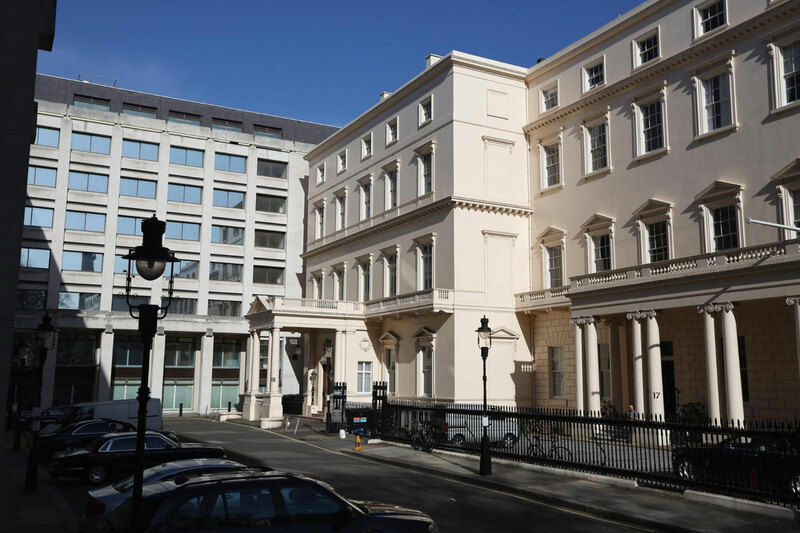 Carlton House Terrace refers to a street in the St. James’s district of the City of Westminster in London, England, and in particular to two terraces of white stucco-faced houses on the south side of the street overlooking St. James’s Park, close to Buckingham Palace, Piccadilly Circus, and Trafalgar Square. These terraces were built in 1827–32 and are Grade I listed buildings. 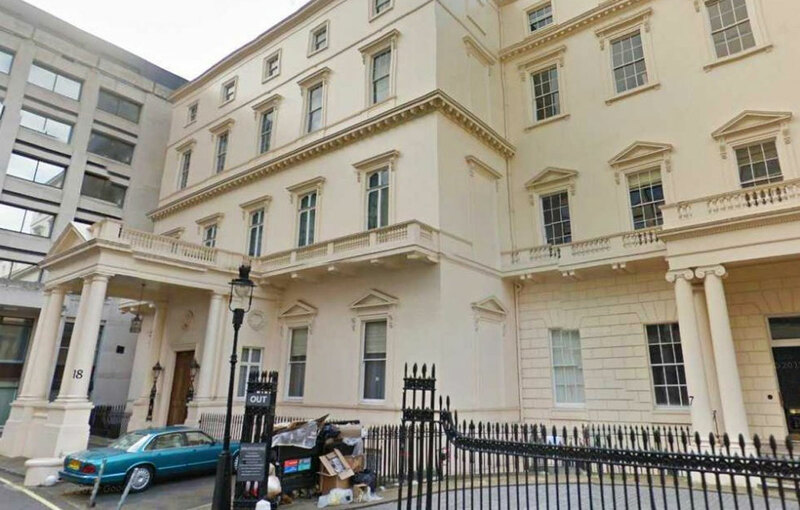 Now, the six-storey mansion located on 18 Carlton House Terrace in the heart of London, could become the most expensive property ever sold in the UK if it sells at the current price of £250 million ($386 million). 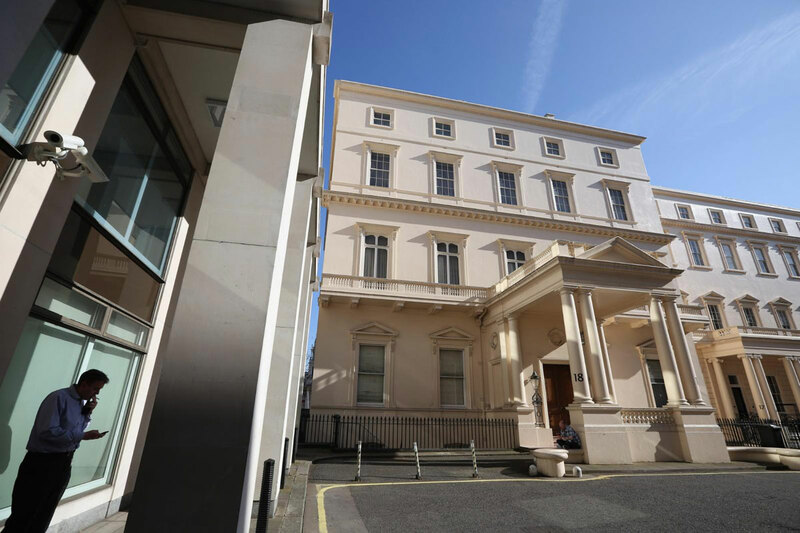 The previous record for a London sale is £136 million ($210 million) paid for a property at One Hyde Park in Knightsbridge. With its 50,000 sq ft of living space, this historic mansion has more living space than a football pitch and it’s about 30 times bigger than a typical London family home. A ‘strictly confidential’ brochure shows only black and white photographs of the mansion from the 1890s, while interior details include unconfirmed guesses such as there are a grand double staircase, large ballroom, high ceilings throughout as well as four storeys above ground and two below that could be converted into a spa, cinema, and swimming area. 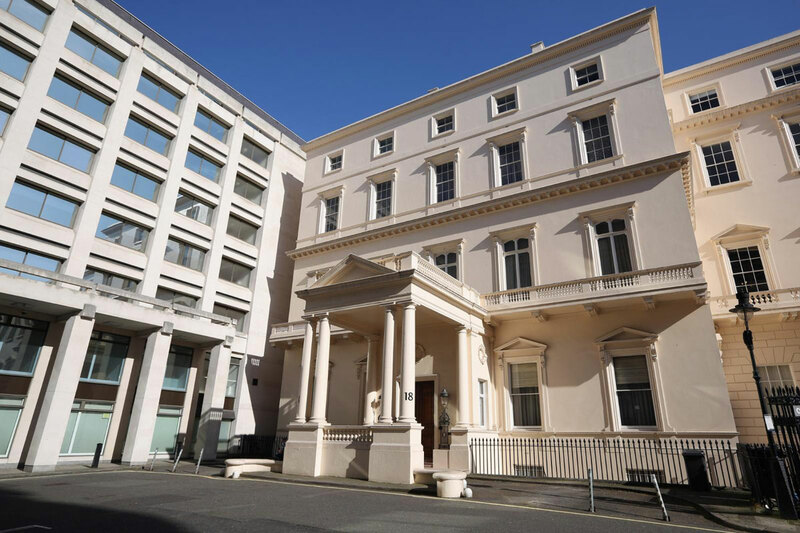 This property has had several famous residents including members of the House of Commons and Prince Louis Napoleon Bonaparte.